ABA President Bob Carlson sent a letter to the congressional sponsors of the Fairness for Breastfeeding Mothers Act of 2019, expressing the association’s support for the legislation–with a caveat. U.S. 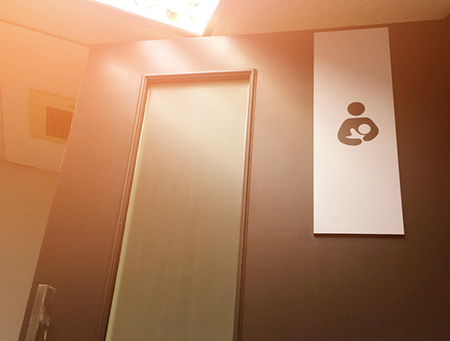 Senators Steve Daines, R-Mont., Tammy Duckworth, D-Ill., and Elizabeth Warren, D-Mass., introduced the bill in February to require federal buildings that are open to the public and contain a public restroom to provide a lactation room, other than a bathroom, that is hygienic and available for anyone who is breastfeeding. Carlson told the senators in his Wednesday letter that the ABA addressed the same issue at the Midyear Meeting in January, adopting a policy drafted by the Young Lawyers Division that encourages governments and court systems to establish lactation areas in courthouses. However, he also pointed out that the Senate bill differs in the scope of coverage, and its authorization of exemptions for public buildings that do not contain a lactation room for employees, or have a space that could be repurposed or built at an impractical cost. “We urge that all courthouses, without exception, maintain a private, separate lactation room, equipped with chair, table, and electrical outlet for use by lactating employees and members of the public,” Carlson says. He sent a similar letter to members of the Senate Committee on Environment & Public Works Wednesday.